The 33 is a 2015 English-language Chilean survival drama film, directed by Patricia Riggen and written by Mikko Alanne and Craig Borten and José Rivera. The film is based on the real events of 2010 mining disaster, in which a group of thirty-three miners were trapped inside the San José Mine in Chile for more than two months. 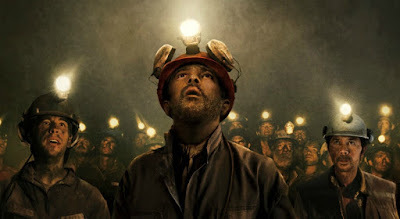 The film stars Antonio Banderas as Mario "Super Mario" Sepúlveda, who sent videos to the rescuers to notify them about the miners' condition.